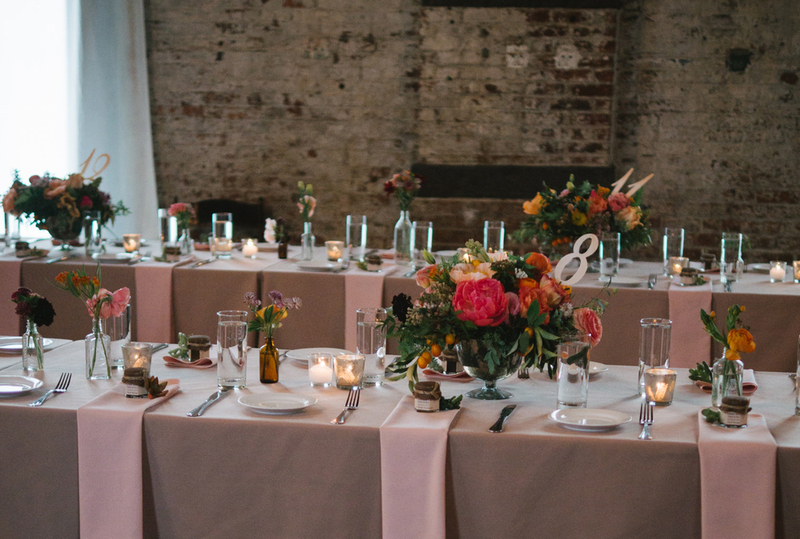 Nikki and Ilya had a fun and colorful wedding at The Green Building in Brooklyn earlier this Spring! Guests flew in from all of the world (from Iran to Sweden!) to celebrate and witness these two love birds tie the knot. Amazing photography by 5 West Studios, beautiful arrangements by Violet and Verde, and lovely hair + make-up by Sissi Chan! Since Nikki and Ilya are super international and have seriously traveled all over the world, we painted "adventure awaits" and "prone to wander" on these cool vintage globes. They were perfect for guests to write their well wishes and love notes on! We literally brought Spring into The Green Building. Aren't the flower arrangements super gorgeous?? (Go Bridget!) We're obsessed with the pops of color! They were also perfect for housing the watercolor table numbers we DIY'd. Nikki and Ilya had a Persian ceremony which consisted of the Sofreh Aghd, which was an elaborate floor spread with a mix of food and decor that all had a special meaning. For example, the mirror and candelabras represented light and fire. The assortment of sweets symbolized a sweet life for the newlyweds and the baked bread symbolized prosperity for their lives thereafter! So fun, right?? We loved all of the cultural elements!! Congratulations again, Nikki and Ilya! 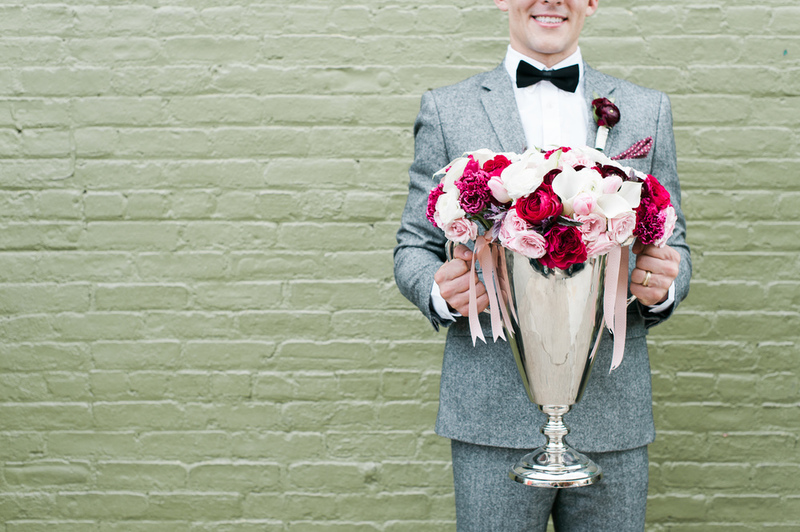 We had a blast working with you both in designing your whimsical and awesome wedding!